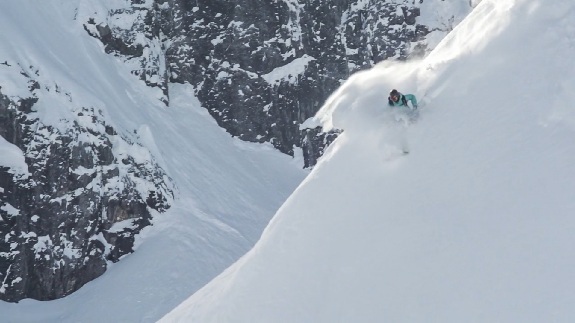 Sandra Lahnsteiner’s latest film, Shades of Winter could be her greatest all-female ski film yet. It is a celebration of a passion that continually drives each individual within the skiing universe to new heights. Shades of Winter is a platform of unique expression and style from some of the best female skiers in the world. The movie features, Rachael Burks, Lorraine Huber, Janina Kuzma, Sandra Lahnsteiner, Matilda Rapaport, Caja Schoepf, Pia Wedmesser and Nine Queens 2013: Dania Assaly, Philo Bair, Coline Ballet-Baz, Silvia Bertagna, Anais Caradeux, Grete Eliassen, Keri Herman, Virginie Faivre, Jamie Crane Mauzy, Eva Patscheider, Maude Raymond, Katie Summerhayes and Lisa Zimmerman.